When accidents happen, our automatic instinct is to head to the Emergency Room. Hit your head and you're bleeding? Time to visit the ER. Elbow hanging at a frighteningly odd angle? Go see the ER docs. Foot in agony, looking swollen and starting to change colors? Here's where you can avoid the long wait times a Emergency Rooms and go to your podiatrist's office, for shorter wait times, x-rays and any other necessary diagnostic tests and, best of all, specialized care that should guarantee a correct diagnosis. Check out this study findings: it will reinforce all the reasons you should come to your Houston podiatrist if you believe your foot is fractured and, nore specifically, if your child has a foot or ankle injury. Dr. Josh Abzug, director of pediatric orthopedics at the University of Maryland School of Medicine, has discovered that of 275 children seen in his clinic, 90% of those who were treated for broken bones in the emergency room were incorrectly splinted. Many times, the elastic bandages on the splint were wound too tightly, cutting off circulation, or the splint ended in the wrong spot for optimal healing. 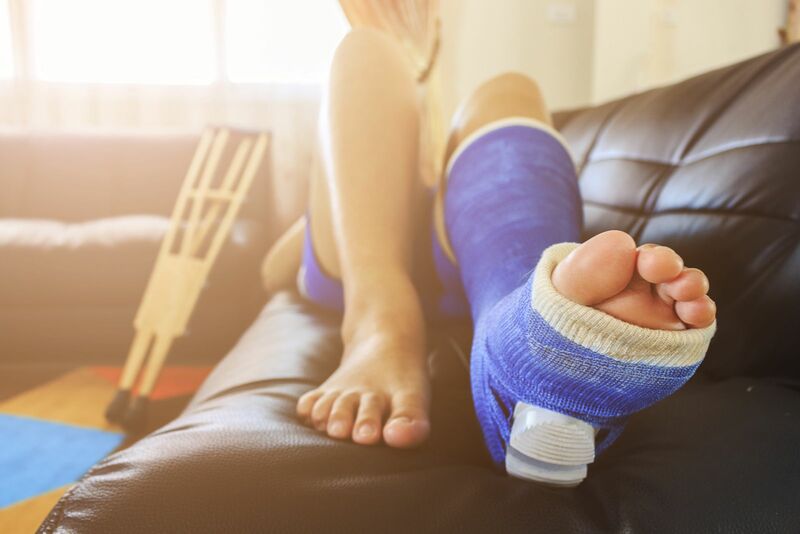 In regards to leg and ankle fractures, the children whose feet were treated at the ER had their injuries immobilized at an incorrect angle, which can cause serious problems once the splint or cast comes off. Dr. Abzug explained, "With a broken ankle, you want to splint the foot about 90 degrees to the lower leg, so that three or four weeks down the road, when the child is ready to walk, her foot is nice and flat, instead of pointed at the wrong angle." What’s behind the problem with ER splinting? “I think it's purely a lack of education in some cases, or a lack of attention to detail," Abzug explained. I could not agree more with Dr. Abzug. ER physicians must have general knowledge about every injury, but may not be specialists in injuries of the foot and ankle, unlike a podiatrist. In my practice, here's what we know: with a fracture, the foot or ankle will appear bruised and swollen and will likely be very painful. A fracture is often not displaced and may be simply treated by immobilizing the foot, ankle, and leg to allow the bone to heal. There are times where the fracture is more severe and will need to be corrected surgically. We can evaluate all those factors within the comfort of our podiatry office. We can also evaluate you for a stress fracture, an injury that is not caused by a particular trauma, but rather by continuous, repetitive stress. This type of fracture does not present with bruising, but rather with a moderate amount of swelling. The pain is not severe, but can often be described as a bad ache. It is important to have a stress fracture immobilized to allow the bone to heal, recover, and return to full strength. Once healed, we use orthotics to manage the pressure and stress on the bone which will prevent a reoccurrence of the fracture. As a podiatrist, I know you'll need to bear weight on your injured foot as soon as the fracture has healed, so I want to make sure it heals in a way that will allow you the best chance of walking comfortably. For that reason, if you suspect you or your child has a sprained or broken foot or ankle and you want to ensure that they heal correctly, head to Dr. Andrew Schneider’s office instead of the emergency room for a full work-up, including x-rays and casting as needed.